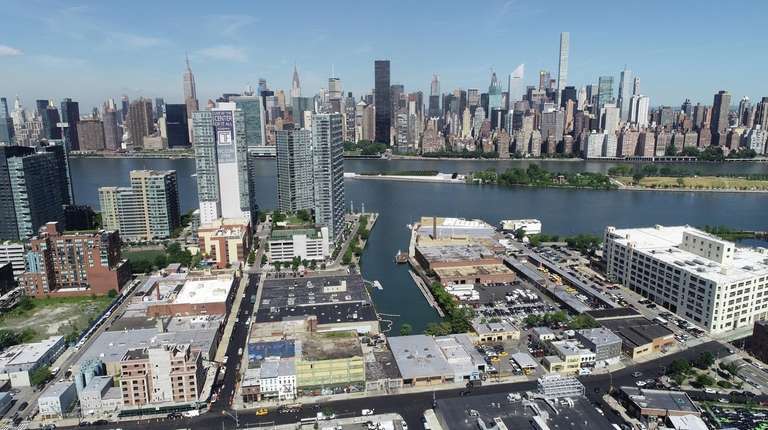 80 percent of Queens registered voters, and 77 percent of those living in the 12th State Senate District approve of Amazon's plans to establish its second headquarters in Long Island City. If you listened to local officials like State Sen. Michael Gianaris or NYC Councilman Jimmy Van Bramer recently, you might think everyone’s against the deal to bring Amazon to Long Island City. According to a new poll obtained by The Point Tuesday, a staggering 80 percent of Queens registered voters, and 77 percent of those who live in the 12th State Senate District – which Gianaris represents and includes Long Island City and Astoria – approve of Amazon’s plans to establish its second headquarters there, according the HarrisX poll commissioned by Amazon. Nearly 7 in 10 of registered voters across NYC support the deal. Nearly 80 percent of those surveyed think it’s very likely or somewhat likely that Amazon’s HQ2 will raise the city’s property values and boost the city’s economy, although a majority of them also think the cost of housing might increase, and worry about the strains on public transportation. Across the board, a majority of every age group, every ethnicity, every political leaning, and all educational backgrounds, approves of Amazon’s plan. The poll comes as an ugly battle over Amazon has been brewing, one that’s getting uglier by the day. The latest salvo came Monday, when State Senate Majority Leader Andrea Stewart-Cousins appointed Gianaris as her representative on the Public Authorities Control Board, which could have the power to approve – or veto– parts of the Amazon agreement. The board is supposed to look at such deals from the standpoint of whether there’s adequate funding to build the project. It includes five members: a representative of the governor, and representatives from the majority and minority of both the State Senate and the State Assembly. But the Senate and Assembly majority seats on the board each have veto power, so politics sometimes seeps in. The last public example: the West Side stadium. Then-Assembly Speaker Sheldon Silver placed himself on the PACB board and killed it. Interestingly, then-Mayor Michael Bloomberg criticized the board’s move at the time, saying it would stop the economic growth of a neighborhood. But Tuesday, Bloomberg had a different tone about the Amazon deal, criticizing the tax-incentive package the company is being offered. Gianaris, a vocal critic of the Amazon deal, recently refused to even sit on the Community Advisory Committee that’s been formed to work on the plans. But he didn’t hesitate to embrace his nomination to the Public Authorities Control Board – although Gov. Andrew M. Cuomo still has to approve the choice. And on Monday, Gianaris didn’t mince words when he told The Point how he’d approach the deal from a seat on the PACB. Spoiler: He’s not neutral. Gianaris said he didn’t see a way to change the deal or renegotiate it to make it better, either. “The deal needs to be reset back to zero,” Gianaris said. Such comments come in stark contrast to the welcome mat Virginia, the other site Amazon chose for its second headquarters, is rolling out. Last week, the Virginia House spent nine minutes discussing Amazon before voting to give the company a package of subsidies for a new headquarters the company plans to build in Arlington. The State Senate there already had approved the deal. The poll Amazon commissioned seems to show a disconnect between the strong negative drumbeat coming from Gianaris, Van Bramer and others, and voter sentiment overall. Interestingly, the poll oversampled the 12th State Senate District. Of the 901 survey participants, 170 were registered voters from Gianaris’ district. The results are, of course, good news for Amazon. But whether they give Gianaris and Van Bramer any reason to pause the anti-Amazon drumbeat – remains to be seen. Randi F. Marshall is a member of Newsday’s editorial board. Randi Marshall is a member of the Newsday and amNew York editorial board.